I’ve spent many years investigating what works and doesn’t work with regard to spinal orthobiologics, like platelets and stem cells. 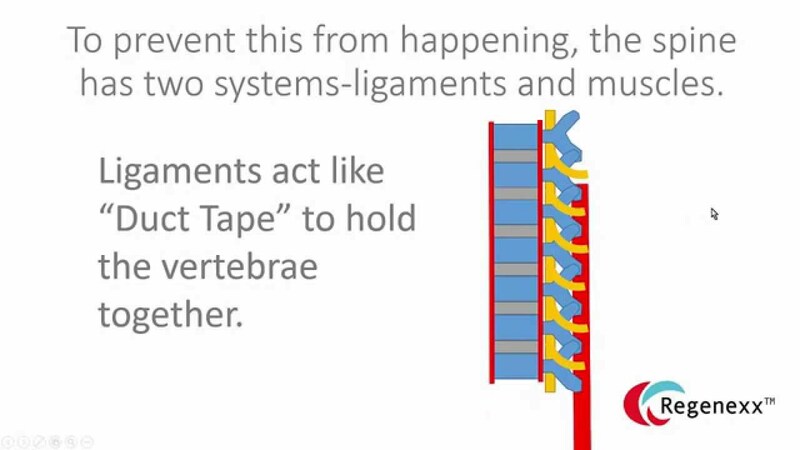 At this point, we’ve treated tens of thousands of patients with back or neck pain with one or the other technology and have published a few papers in the peer-reviewed literature. Hence, when I see a blog comment come along that can help expose the insanity out there in the wild west of spinal care, I take notice. This morning I saw a comment that really needed to be a blog post to vet. Let me explain. I know you can only answer so much online with pieces of one’s story, but I am interested in your input given your credentials and experience. I’ve come to find out I have a “midly” herniated disc in L5-S1 on the left side from an MRI. I had 2 left SI cortisone injections before the MRI which felt great for 2 months (before we know it was L5-S1) and recently L5-S1 cortisone injection that lasted a few weeks. My doctor is recommending A2M – alpha-2-Macroglobulin injection to address it. I hate to be the guy who’s not a doctor reading internet research instead of trusting my doc but for $2300 out of pocket, I’d like a little more confidence in my investment. I asked about PRP as I’ve read PRP is what actually rebuilds. The response was that in the Epidural area where my concern is, PRP would not be appropriate, A2M is the appropiate treatment for the area and they’ve offered to include an amniotic fluid injection for “Free” normally $1400. ….In my business, I can’t afford to give a few hundred bucks away without affecting my profit significantly. There’s no way I could give away $1400 of ACTUAL VALUE for free. I don’t buy it. $2300 is a hell of a lot less expensive than surgery and if it at minimum even prevents further degredation, it is worth it at 30 years old. And if it rebuilds or makes the pain go away, even better. I’d just like a little more than “we don’t know, we’ve just got to try it and see” for $2300. Just by dissecting this comment and what the doctor plans, I feel I can teach you what is likely throwing darts at a dartboard blind versus what may be advanced care with a doctor who knows which end is up. Before we get started, it’s critical that you know that no physician out there has been through a medical school or residency program (the traditional ways doctors learn) that taught them anything about this subject. In fact, most don’t know what they don’t know. In addition, another way doctors learn is a fellowship, which can come after residency training. Right now, there is only one fellowship on earth that teaches doctors how to use spinal orthobiologics, requires them to publish research on same, requires them to take and teach courses in this area, and then requires them to actually perform these procedures as 100% of what they do. That’s our fellowship, and we only graduate three doctors a year at this point. So unless you go to some of those few doctors, it’s truly the blind leading the blind at this point. A2M (aka alpha-2-macroglobulin) is a large molecule that lives in your blood that can help reduce the breakdown of collagen. As such, theoretically, based on animal research, it may help reduce the breakdown of cartilage. We have been using it for the last few years, and it works well in patients who have very swollen joints. A2M is usually created via a blood draw where a machine can separate the serum and concentrate many things, including A2M. It’s critical you understand that from what we know, A2M is anti-catabolic (blocks breakdown) but not anabolic (i.e., doesn’t stimulate growth and repair). While I can’t rule out that it may help set up the right environment for repair, based on what we know, things like PRP (platelet-rich plasma or concentrated platelets) would be more likely to stimulate repair than A2M. Hence, A2M helps block tissue breakdown and wouldn’t be the thing you would choose to help tissue repair. Rereading Andrew’s post, he’s very concerned about his disc bulge and repairing the damage that caused the bulge and preventing further degeneration. Looks like he’s considering surgery to trim back the bulge so it stops irritating the nerve. Hence, what he wants is something to repair the fibers of the outer covering of the disc (annulus fibrosis). In this case, based on what Andrew knows, the doctor wants to use A2M “epidural.” So let’s explore the idea that an epidural injection of A2M would repair the disc or keep it from degenerating any further. Before I dive in, you need to understand that there are a number of different ways that things can be injected into the spine using imaging guidance. First, you can inject around the nerves, which is called epidural. Second, you can inject into the disc, which is called intradiscal. There are also a host of other things that can be injected, including lax ligaments, injured or degenerated facet joints, the sacroiliac joint (SI joint), atrophied stabilizing muscles, irritated tendons, and so on. So first, do we have any research in people or animals that injecting A2M will help a disc bulge? No, the search of the US National Library of Medicine turned up nothing. There’s also nothing on A2M stopping disc degeneration. Hence, there is no published research in either humans or animals that says that injecting A2M epidural will help repair a disc bulge. There is a single study that showed that if a marker of cartilage breakdown called FAC (fibronectin-aggrecan complex) is found in the epidural area, then the patient will be more likely to respond to an epidural steroid injection. This is interesting as the FAC marker has also been associated with A2M being effective. However, none of this tells us whether injecting A2M epidural will help repair a disc bulge. 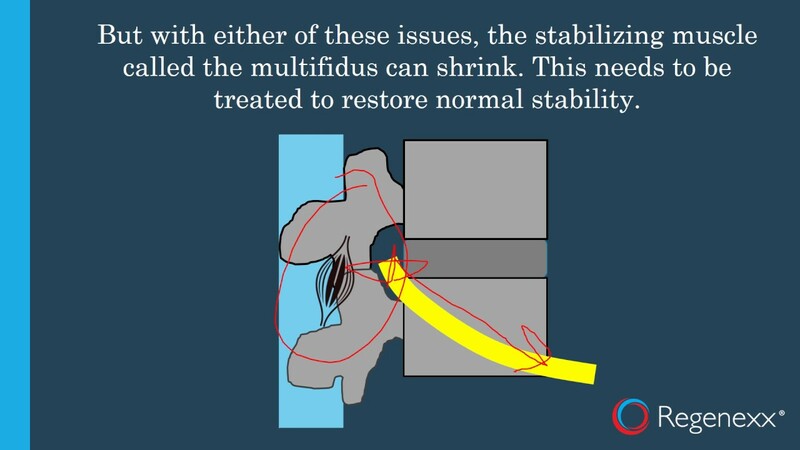 What Can Be Done with Spine Orthobiologics and Disc Bulges? Given that I’ve been using platelets and stem cells in the spine longer than anyone else on earth, I’ve figured out a few things. Different types of bone marrow-based stem cell and platelet mixes injected in different areas can help different spinal problems. For example, if you want to help a disc bulge heal, you need to inject into those annular fibers. This is not something doctors are used to doing, as they usually inject into the center of the disc (intradiscal). What technology works for this type of problem? The only thing I have seen work is specially cultured bone marrow stem cells. Below is an infographic of the MRI and other results we’ve observed with that procedure. These results have also been published in the peer-reviewed literature. This technology is now the subject of an FDA-approved, phase-II clinical trial. Is There ANYTHING Published on Using Orthobiologics Epidural? Yep, the only thing published to date that reports the results of many patients is our paper on using epidural platelet lysate. There is also one small paper on the use of epidural PRP. What did they show? Our paper demonstrated that using the growth factors extracted from the patient’s platelets helped sciatica associated with disc bulges. However, we didn’t observe that injecting epidural helped disc bulges. The other very small pilot study demonstrated good short-term pain results. While this provider doesn’t seem to have made that mistake, what’s up with the “buy one get one free”? In my book, if you’re getting a legit procedure, there is a cost associated with performing that procedure, which factors in the doctor’s time and expertise as well as the fixed costs of what’s injected, employee time, and so on. Meaning, if your doctor starts acting like a used car salesman, you maybe should consider finding a new doctor. Finally, one of the problems we see out there is that doctors who only want to dabble in this space tend to buy one-size-fits-all bedside machines. Meaning, in this case, a machine that makes A2M, but that can’t make other things, like PRP, traditional PPP, platelet lysate, bone marrow stem cells, and so on. The issue is obvious: if all you have is a hammer, everything begins to look like a nail. 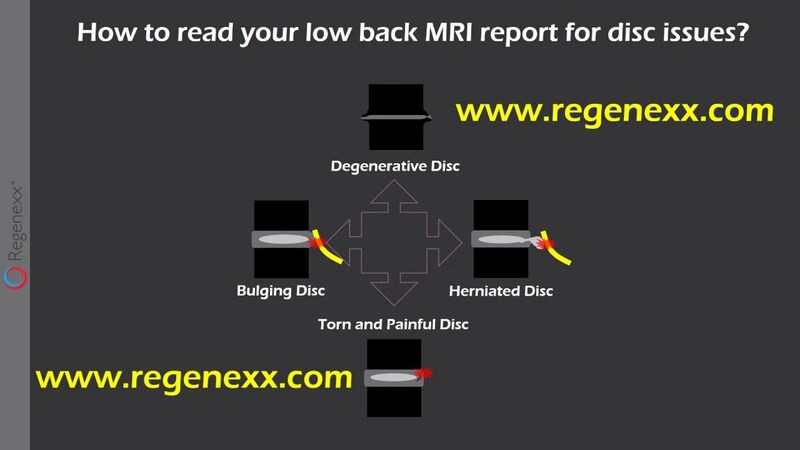 To avoid this issue, all Regenexx providers use a flexible lab platform where the doctor can make whatever orthobiologic is called for or has the best evidence. In this case, the clinic could make high-dose PRP, platelet lysate, bone marrow concentrate (a same-day bone marrow stem cell procedure), microfragmented fat, or A2M. Hence, there is no need to shoehorn the patient into the one thing that your little bedside machine or kit can create. As another example, if this doctor had decided to search the literature on orthobiologic disc treatments, there are only a handful of things published. He or she would have found information on using platelet-rich plasma, bone marrow concentrate, and culture-expanded stem cells. All of these treatments have good animal data plus some published human results. The upshot? Andrew, while I can’t absolutely rule out that injecting A2M epidural may help your disc, it’s very unlikely to help repair your disc. In the meantime, we have lots of published literature on things injected into the disc that may help, with only one (our cultured disc stem cell procedure) capable of reducing disc bulge size. I’m not sure what’s up with “buy one get one free,” but to me, that’s not what legit medicine should be as that sounds more like used car sales. 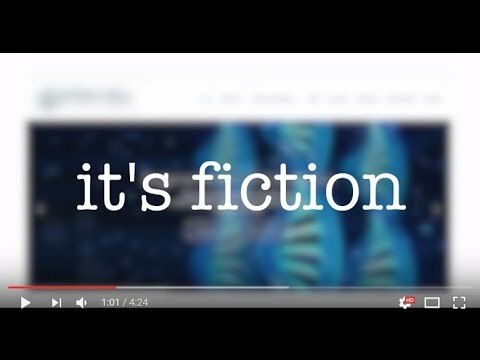 What is the research status on stem cell or PRP on Parkinson's? Where are you located? I'm tired of getting epidurals that don't last even a month. You mention A2M for (or not for) spine issues. Any news on the front of an A2M injection in the foot where arthritis has taken hold of a joint? That may help. It all depends on the degree of arthritis and the level of synovitis (inflammation). This then determines which technology (PRP, stem cells, A2M) is the best fit for your condition. Also, the issues that caused the arthritis also need to be treated.